It has significantly eased in Oklahoma and Nebraska. 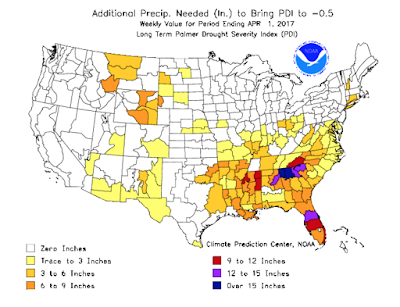 However, for the week ending 7am Saturday, there was no relief in the Southeast. 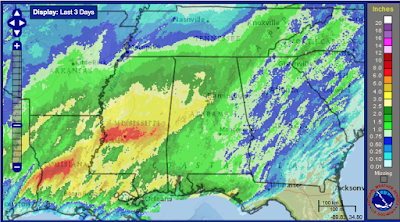 So, the drought in Mississippi, Louisiana and east Texas will have been eased by the most recent weather system. 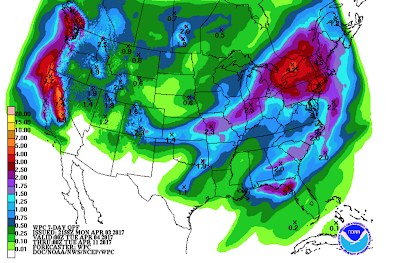 For the next seven days, here is the forecast rainfall across the country.